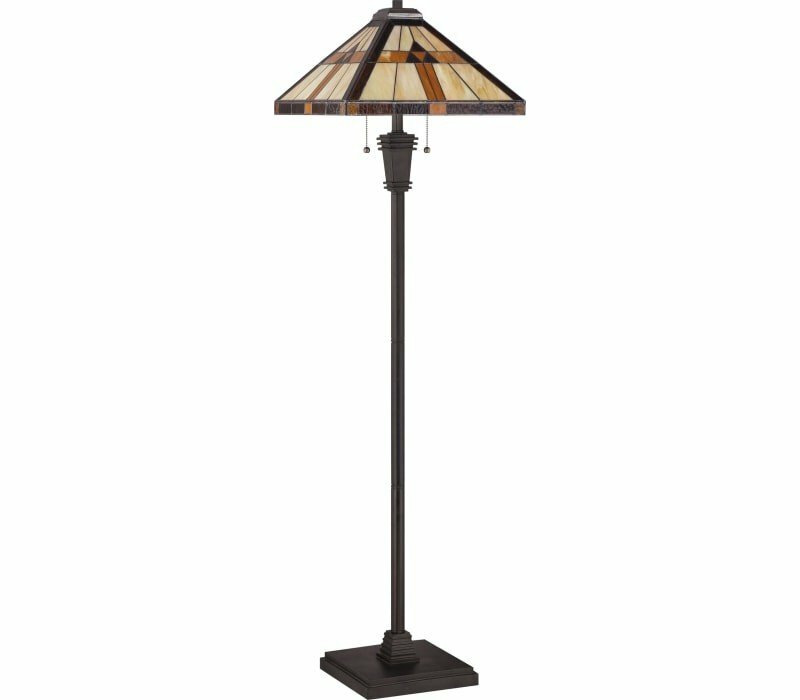 The Quoizel TF1508FVB Tiffany collection Floor Lamps in Vintage Bronze use Fluorescent light output and bring Tiffany style. This item is 62"H x 18"W x 18"L. The wattage is 100. 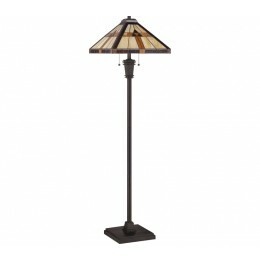 The Quoizel Lighting TF1508FVB requires 2 bulbs (not included). 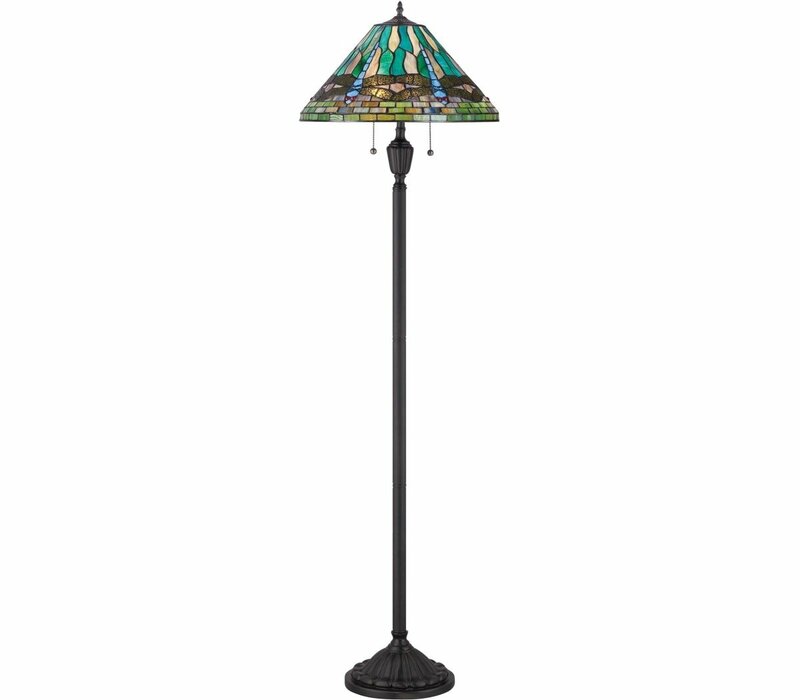 Additional Information: Shade-Tiffany Glass Shade; Control-On / Off Switch.